The mighty polar bear. The plucky beaver. The majestic caribou. These iconic animals are etched in our national consciousness (and on our coins), but they represent only a small fraction of the amazing variety of mammals found in Canada's wild. 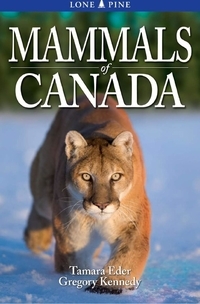 Lone Pine Publishing, Canada's leading publisher of nature guides, celebrates this diversity with Mammals of Canada. 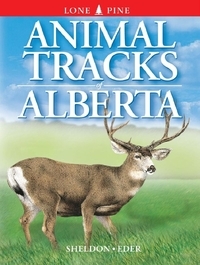 Features include: * 188 species accounts with information about habitat, food, young, den, range and similar species * Colour-coded header bars and quick reference guide to make finding information fast and easy * Beautiful illustrations and photographs * Range maps * ''Did you know'' facts * Detailed descriptions of our natural regions * Canada's top mammal-watching sites. * Whether you are a naturalist, a photographer, a wildlife enthusiast or simply appreciate the great outdoors, this book will become a vital reference in your natural history library. Tamara Eder, equipped from the age of six with a canoe, a dip net and a notepad, grew up in Alberta with a fascination for nature and the diversity of life. She has a degree in environmental conservation sceinces and has photographed and written about wildlife in Bermuda, the Galapagos Islands, the Amazon Basin, Argentina, Tibet and India. She has worked in both Canada and Argentina as an interpretive naturalist and guide, specializing in ecology and paleontology. An award-winning photographer, her photos appear in numerous books, posters and online magazines. Tamara now makes her home in Edmonton, Alberta, and she continues to write, photograph and travel.